Rieju will be responsible for series production of the enhanced Flexy on behalf of Govecs, and in this context has contractually guaranteed capacities for the production of up to 12,000 electric scooters per year, which will also be used for the production of the Elmoto models. 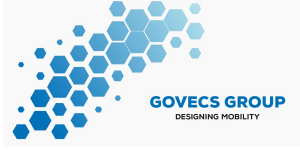 Thus, Govecs is optimistic that production capacities will be sufficient to meet the expected growing production requirements up to the year 2021. Due to the deal with Rieju, the company will reduce planned investments in the expansion of the company’s own production capacities in Wroclaw by up to 10 million euros. The Flexy electric scooter builds up on a modular design, which makes it suitable for all target groups, whether sharing providers, delivery services or end users, according to Govecs. At the moment, the firm’s product range includes the e-scooters of the Schwalbe, GO! S, Elmoto and GO! T brands. The recent take-over of Elmoto in particular is an attempt to increase Govec’s business with private customers. To this end, they have also set up their HappyScooter e-commerce platform recently.